Mt. Shuksan is considered by many to be the most beautiful and picturesque mountain in the Cascade Range located in Whatcom County, Washington.. This picturesque scene of a snow-capped mountain evokes memories of many mountainous ranges. 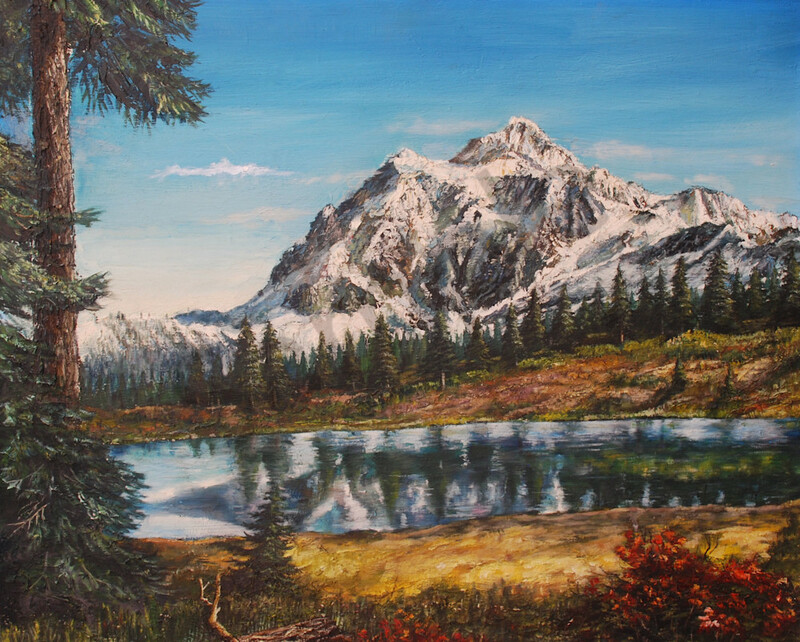 Unlike the countless artists’ renditions of landscapes, Emigdio’s version is painted in his classic detailed style. This Limited Edition Giclee is 22 x 28, its original size. There are only 120 high quality canvas prints available including a Certificate of Authenticity. This picturesque scene of a snow-capped mountain evokes memories of many mountainous ranges. Unlike the countless artists’ renditions of landscapes, Emigdio’s version is painted in his classic detailed style. This Limited Edition Giclee is 22 x 28, its original size. There are only 120 high quality canvas prints available including a Certificate of Authenticity.